Crudo Tomato Sauce - Perfect no cook sauce for pasta. If you can get these late summer perfectly ripe cherry tomatoes, here is my favorite raw, no cook tomato sauce for pasta. The beauty of this recipe is its incredible freshness and how you can quickly prepare it while your water is boiling. Start your water for pasta. Once your water is boiling, add 1 Tbsp of sea salt to the water and add in your pasta. 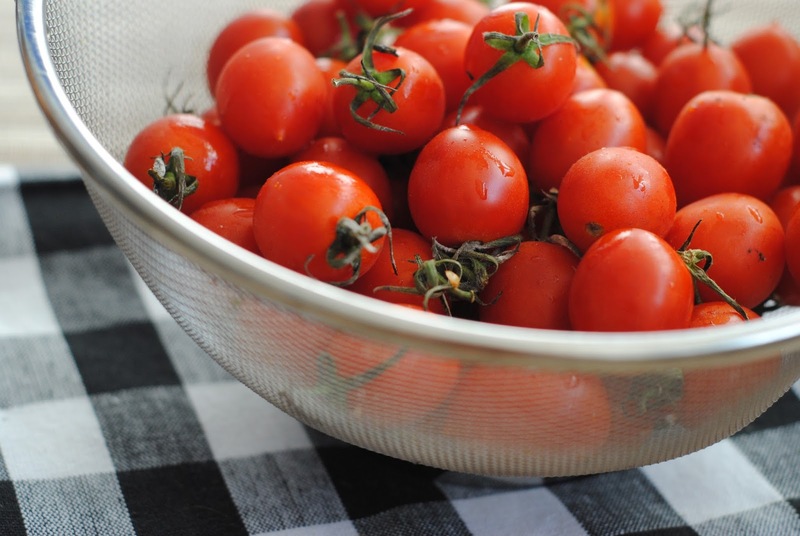 Prepare your "sauce" by slicing the cherry tomatoes in half and place into your serving bowl. Add the rest of the ingredients and when your pasta is cooked, drain and pour over your sauce. Let it sit for 30 seconds, then toss with cheese and serve.